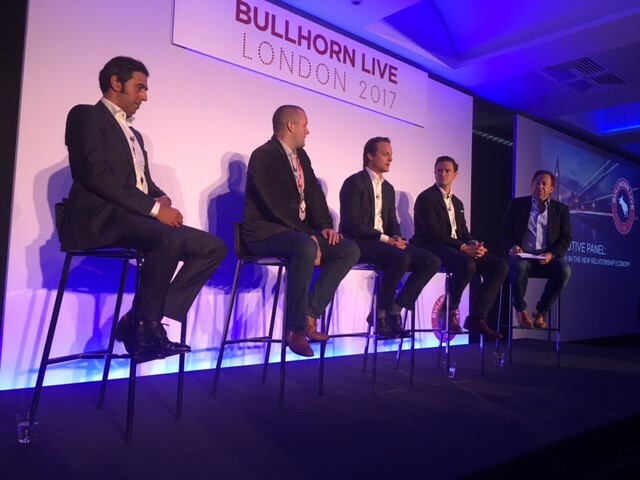 It’s been one week since Bullhorn Live and we’re all still talking about it! This year, Bullhorn Live was even bigger and better, with 2 days filled with information-packed sessions and workshops from industry-leaders who shared such valuable insights with us. 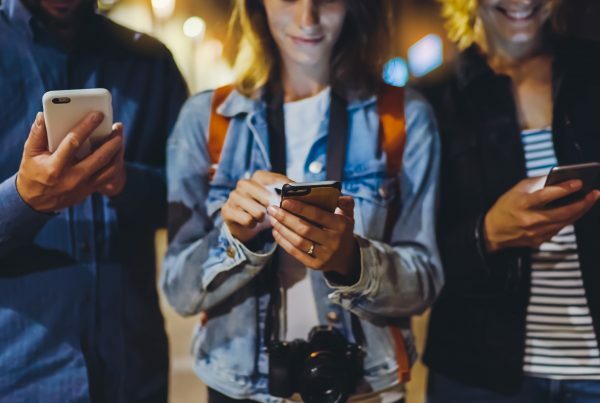 This year, we were excited to hear so many discussions around the usage and growth of technology to enhance the candidate’s experience. The Executive Panel led by Peter Linas, discussing Growth in the New Relationship Economy, was filled with insights about how the recruitment industry will be affected by various factors including robots and automation (technology should help to enable recruiters, to get them on the phone more and meet with their clients), GDPR (an opportunity for all) and the Relationship Economy. The closing session by comedian, Alex Edelman, had the crowd in stitches with his insights from a millennial about millennials. All this, finished off with the Bullhorn Live Summer Party and this ridiculously crazy cake! #yesthisisacake #spoileralert #sorrynotsorry #yesiamalsoamillennial. 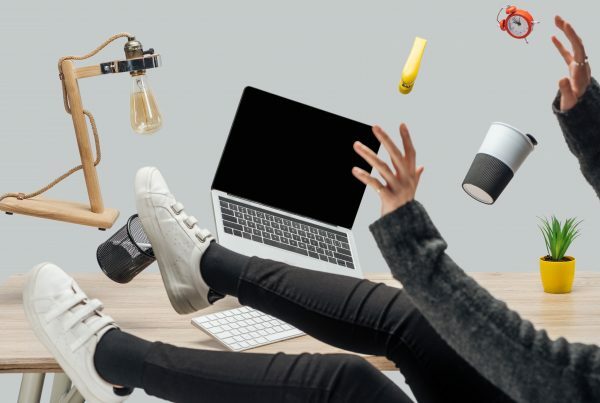 The Marketplace speed pitch is always an important part of Bullhorn Live for us – not only because we’re part of it but because it also gives us an opportunity to catch up with some of our close friends and partners including Kyloe, JXT and Cube19. 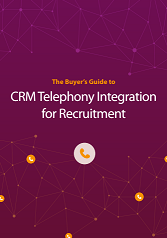 It also gives us a chance to learn more about the exciting new technology that partners are bringing onboard the Bullhorn platform such as SourceBreaker and FastTrack360. 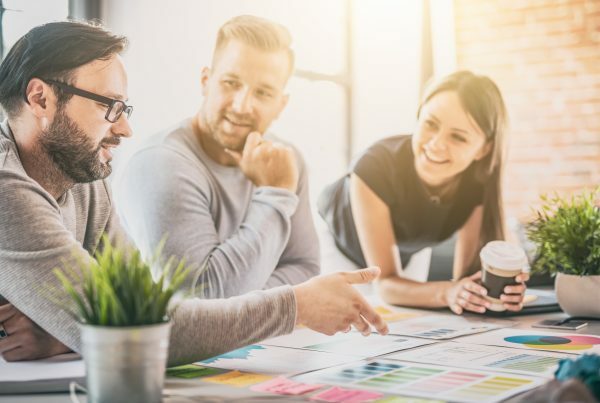 CloudCall’s Non-Executive Director, Gary Browning, also held a workshop sharing insights as to how recruitment agencies can leverage technology to drive productivity and enhance the candidate experience. In this session, he highlighted gamification techniques that companies such as KPMG have put in place and discussed the role of AI recruiters and chatbots that enable businesses to improve their candidate assessment process. This year – we decided to give some fun t-shirts away. 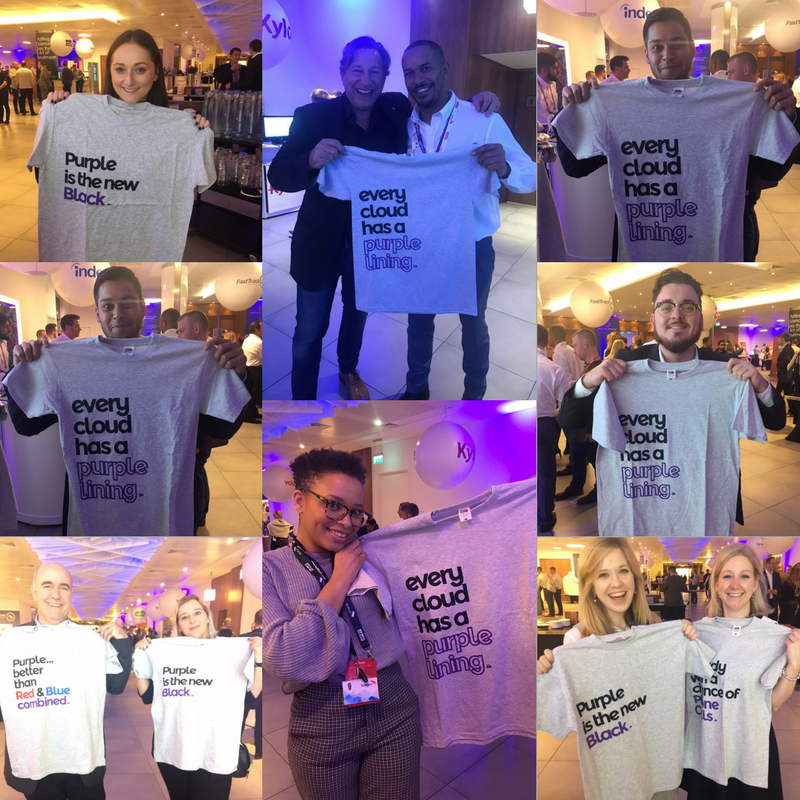 There was a tie for the most popular slogan/t-shirt between ‘Every Cloud has a Purple Lining’ and ‘Purple is the New Black’! Feel free to send some more fun t-shirt slogans over and you may see them on a t-shirt in the future! The best suggestions will receive a t-shirt of their choice, so feel free to comment and share any ideas that you have! 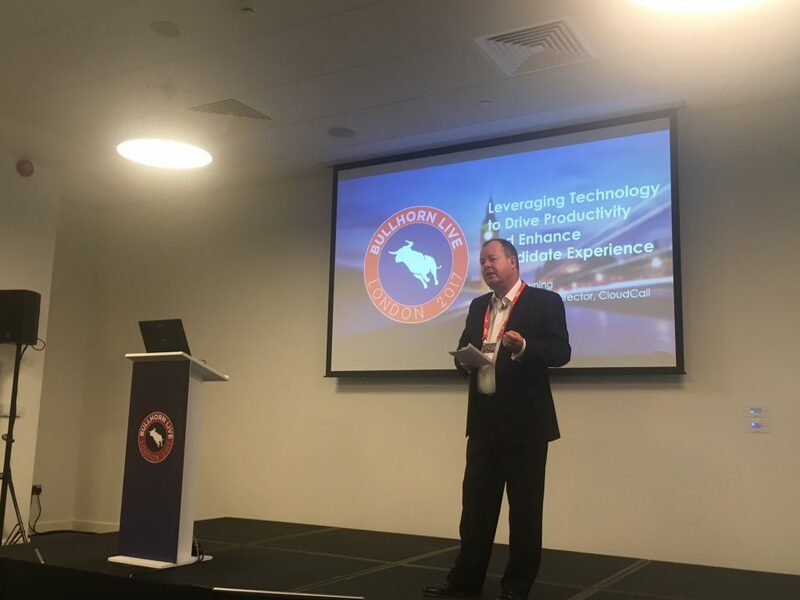 This is the third year that I’ve been fortunate enough to attend Bullhorn Live, with CloudCall having been proud sponsors of Bullhorn Live since 2013 (with the first ever Bullhorn Live event!) and Engage since 2015. 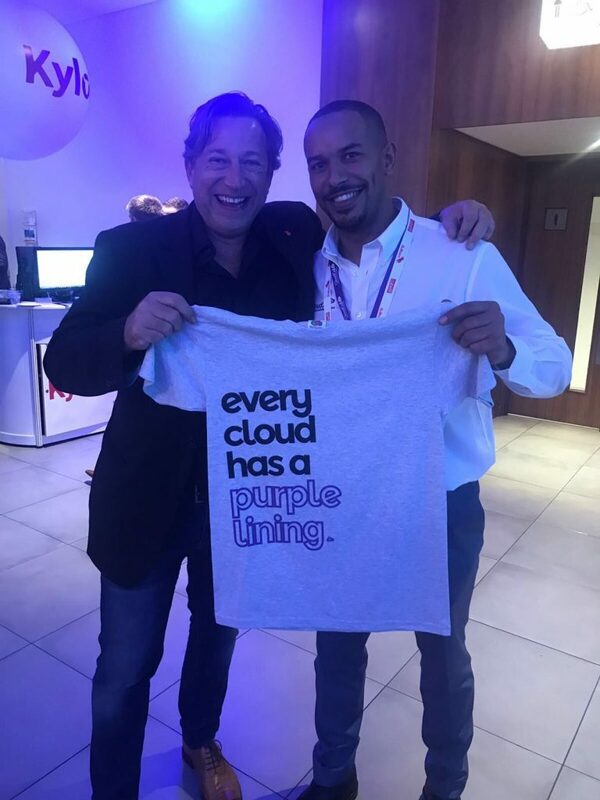 After a busy two days of engaging with our customers, partners and speaking to new people – the CloudCall team and I are already looking forward to next year. Thanks to the team at Bullhorn for this great event. Roll on Engage 2018!